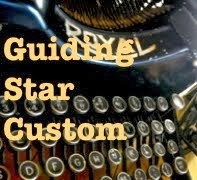 YouTube has made stars of everyday folk by allowing all of us to post our home made videos online for others to enjoy. Ghost hunters and of course hoaxsters also take advantage of this format to spread the word about their own hauntings, or to pull the leg of their cyber audience. Sometimes cheesy and obvious in their trickery, sometimes intriquing and mesmerizeing, ghost recordings can at the very least be entertaining for YouTube fans. Got some time to kill and want to see some spooky videos, here are some to check out. Looks superimposed to me, but see if it gives you a shiver. Interesting clip from a History Channel show about the Warren's and their video from the Amityville house. Worth watching. Nice montage of some classic ghost photos. Nice grouping of evidence from TAPS investigations. 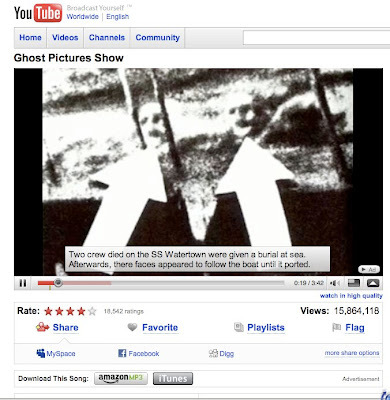 Got a favorite YouTube ghost video? Share the link here!